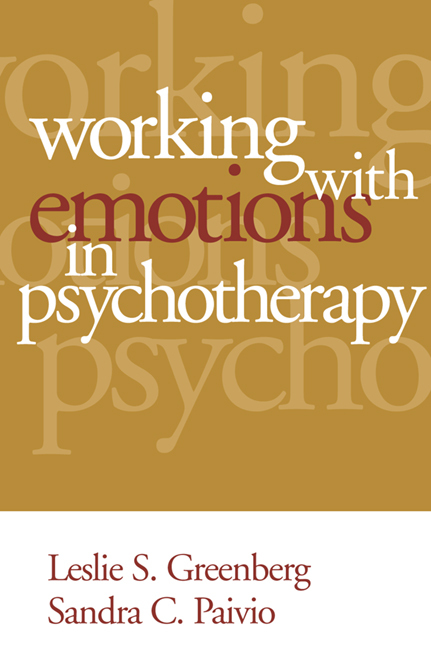 In previous books, Leslie S. Greenberg has demonstrated the importance of integrating emotional work into therapy and has laid out a compelling model of therapeutic change. Building on these foundations, WORKING WITH EMOTIONS IN PSYCHOTHERAPY sheds new light on the process and technique of intervention with specific emotions. Filled with illustrative case examples, the book shows clinicians how to identify a given emotion, discern its role in a client's self-understanding, and understand how its expression is furthering or inhibiting the client's progress. Of vital importance, the authors help readers think more differentially about emotions; to distinguish, for example, between avoided emotional pain and chronic dysfunctional bad feelings, between adaptive sadness and maladaptive depression, and between overcontrolled anger and underregulated rage. A conceptual overview and framework for intervention are delineated, and special attention is given throughout to the integration of emotion and cognition in therapeutic work.